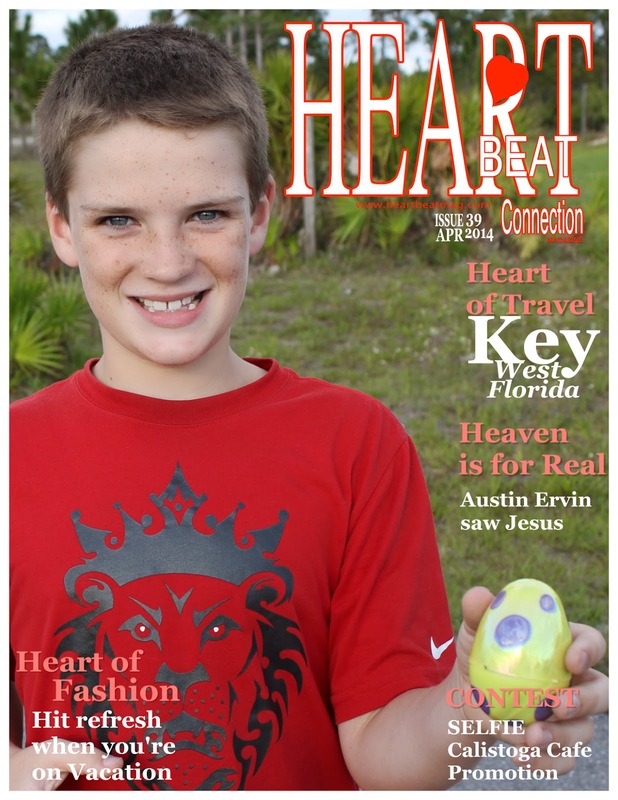 This month's cover is a photograph I took of Jake finding his Easter egg on a hunt provided by his older cousin Alex. He was so happy to be included and knew that he was the oldest so would have to give his sister and younger cousin a chance to get the eggs. Alex created a surprise and color coded the eggs so each kid got the same amount! Perfect! In the Heartbeat Connection Magazine April 2014 edition you will find articles on Heart of Fashion, Heart of Travel, Heaven is for Real, and a local Contest from Calistoga Bakery Cafe. Please share your heartfelt story with me as I'd love to include it in next months issue! I had the opportunity to review this book from Booklook Bloggers. 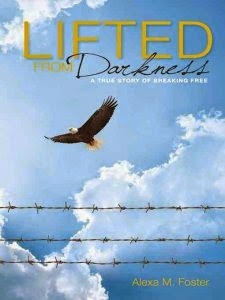 I love the ability to choose books that provide a true life story and how someone can go on from a terrible situation into a life full of love and success. There were so many parts of the story that I just wanted her to get up and leave her marriage. One strike is the turning point in my opinion and I've always been an advocate of seeking help. Each page I waited to find out when she would make the decision to leave but the cycle of abuse and then kindness continued. He had a young daughter that she raised as her own and was primarily the caregiver for the child. There were so many twists to her life that at one point I wasn't sure if she would survive. It was definitely a roller coaster ride and I was surprised that she was able to break free. Since I'm a nurse, I have been educated in Domestic Violence and how to see or treat signs and symptoms. One of the things that never occurred in her story was any help from the medical field. She visited the hospital several times for infections caused by her husband's affairs, but being young and naive didn't understand that these were serious issues. The staff treated her unkindly because of her infections and never realized the problem. I wonder how many times in our life we have people we meet and not realize they are in need. Since I've read the book I look at my life and thank God for the support and comfort I have from my family and loved ones. It's an eye-opener and perhaps will be a support for those in a situation that need to know there is hope!